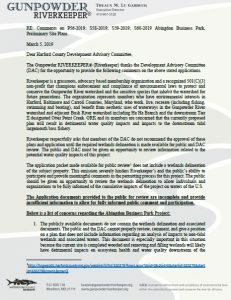 Grateful for strong community partners like Gunpowder Riverkeeper for shining a light on the development process and the potential negative impacts to the environment. 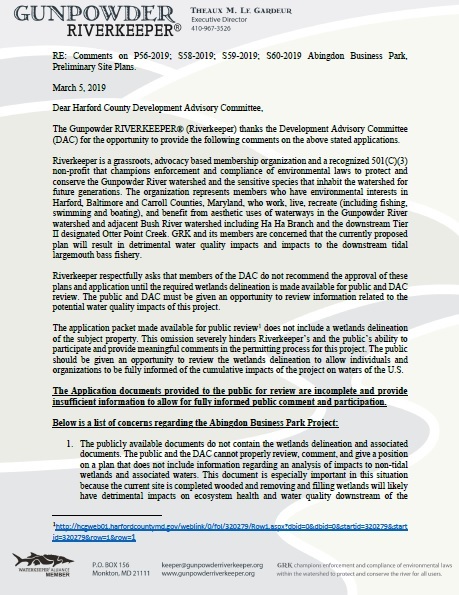 Letter provided to the March 6, 2019 Harford County Development Advisory Committee for the proposed Abingdon Business Park. The Harford County Council has been busy passing legislation! Check out the new scorecard HERE. Have you registered and reviewed the candidates for the 2018 GUBERNATORIAL PRIMARY? Land use decisions are made locally. In anticipation of the upcoming election, Friends of Harford asked Harford County Candidates for County Executive and County Council questions about land use issues. Not sure of who will be on your ballot? Check the ballot style for your polling place and view the ballots for the 2018 Primary Election. 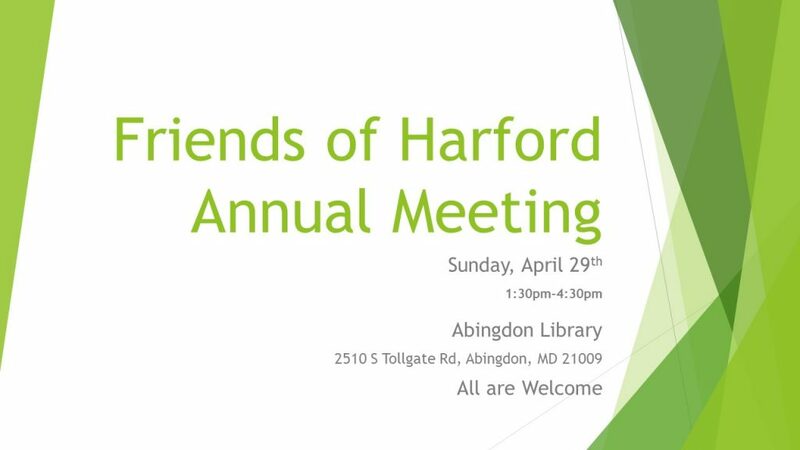 Friends of Harford, Inc focuses on Harford’s land use issues, working for a fair balance between the rights of those wanting to develop a property and the rights of neighbors who might be impacted by that development. Land use is controlled by the County Executive and County Council members. 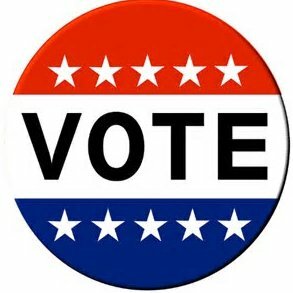 In anticipation of the upcoming election, Friends of Harford asks candidates to please respond to the posted questions so we may understand your perspectives and reasoning on these issues. We will post your responses on our website and notify our members that they are available. Responses are due back by April 15, 2018. Thank you for your cooperation and assistance in keeping Harford County citizens aware and informed of your goals and objectives. Comprehensive rezoning is over for another 6 to 8 years. This round there were 115 requests by residents or their agents. 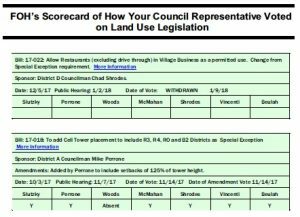 Every Councilman introduced amendments to grant a more intense use for a property than the one received in the legislation as presented by County Administration. It should be noted that a Land Use Study conducted by the County in 2011 and again in 2014 declared that there was more than adequate land available for every use, be it residential, business or commercial-industrial available well beyond the next CZR era. The study also showed there will be a need for more Residential zoning long before there is a need for more Business or Industrial zoned land. Rezoning to a more intense District (up-zoning) often means additional facilities/services will be required from the County. The cost of funding these new roads and other required infrastructure will be borne by the taxpayers. Harford County elected officials are responsible for balancing the citizens’ quality of life and taxpayer funding for future infrastructure requirements caused by approved zoning changes. In all, 836 acres received requests for rezoning. Approximately 250 acres were up-zoned from less intense to more intense categories of zoning, e.g., from agricultural to residential, from residential to business, or business to industrial. Approximately 80 acres were up-zoned in intensity, e.g., R1 rezoned to R3, B1 rezoned to B2, etc. FOH is satisfied with the District A results. 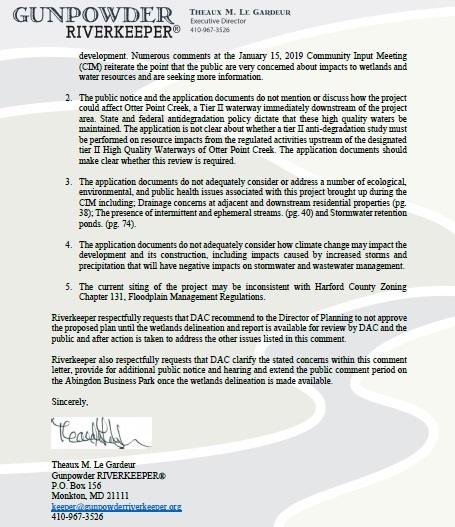 District A had 20 requests for more intense rezoning. Three up-zonings were supported by the County, two of which had the endorsement of the community. 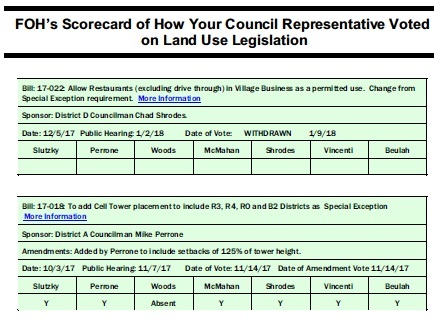 One additional up-zoning was by amendment from the Councilman. About 8 acres went from Residential to Business or Industrial zoning, while about 10 acres went from B2 to B3 zoning. FOH is severely disappointed with District B rezoning. District B had 25 requests with 2 requests withdrawn. About 57 acres were granted more intense kinds of zoning, including 50 Agricultural acres converted to Business or medium-intensity Residential zoning. Plus, 14 acres increased intensity within the same zoning category (majority were from B2 to B3, the Highest Business Intensity). FOH strongly opposed the high intensity up-zoning of about 45 acres at the outer edges of the Development Envelope (intersection of Mountain Road (Route 152) and Route 1), recently added and approved July 2016 by Harford County Council. Severe up-zoning was granted even though there are rural homes and a farm in Agricultural Preservation on the Development Envelope’s boundary in this area . 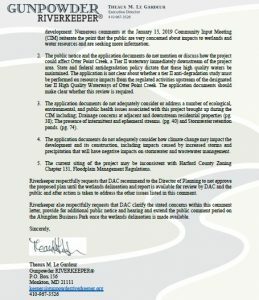 The decision was in violation of HarfordNEXT, and contrary to the rationale applied in District F, where the County reduced an owner’s request for R2 zoning to only R1 at the Development Envelope boundary near rural homes. FOH is disappointed with the representation and lack of explanation from District B County Councilman and Administration regarding the approval of intense up-zoning to R2 and B3 in the Fallston Community area. FOH was reasonably satisfied with the results of District C. District C had 17 requests. While we disapproved of the conversion of 3 R2-zoned properties to B2 or Commercial Industrial, these totaled less than 1.5 acres. FOH is pleased with the results of District D. District D had 23 requests. We supported the community in their work to insure that the 3 properties at the intersection of Routes 23 and 24 were restricted to R1 zoning, and that the Madonna property remained AG. FOH was also content with the results of District E. District E had 11 requests. We agree with the amendment to rezone the 6 requests next to Ripkin Stadium to B1, and the zoning has been coordinated with the city of Aberdeen. FOH was very disappointed with District F results. District F had 20 requests. In spite of Harford expecting to need residential units long before the county runs out of either Business or Industrial-zoned land, District F sacrificed 122 acres of Residential land in favor of yet more Industrial land. There was a net loss of 100 acres of high-density (primarily R4, some R3) residential land converted to Industrial, partially offset by a loss of 21 acres of Agricultural land that was rezoned to R1 (lowest density). The only good news was the Treese Way development off Laurel Brook was not up-zoned and remains R1; it has many Natural Resource Districts. In summary, Districts A, C, D and E were largely acceptable and we thank the Administration and Council members from those districts. We remain strongly opposed to the rezoning results of Districts B and F.
Overlays – What Are They? Officially it is “any specially mapped district which is subject to supplementary regulations or requirements for development”. Every parcel of land in the County is zoned. An overlay sits on top of that zoning and modifies the normal usage allowed for every property which lies “under” the overlay. Overlays may restrict or enhance development. Restrictive overlay examples are the Chesapeake Bay Critical Area and the Floodplain district overlays. Because the land beneath the overlay is fragile, certain types of development are not allowed even though the County has approved zoning for more intense development. Many of our restrictive overlays are handed down by State legislation. The past several years has seen the growth of development enhancing overlay legislation. A good example is the Edgewood Neighborhood Overlay District. Zoning restrictions are relaxed in this region with the hope of spurring the revitalization of commerce, residential neighborhoods and civic pride. Rather than rezoning large districts and changing every zoning regulation to reflect the desired new use, an overlay easily enacts the change in allowed uses by a single act of legislation. The ease with which an overlay may happen should make us stop and think. An overlay may not always be a good idea. Several years ago, an overlay was proposed that would allow industrial use on agriculturally zoned land. Quite a change in zoning. While the underlying zoning remains unchanged, the over-the-top overlay may cause significant change.